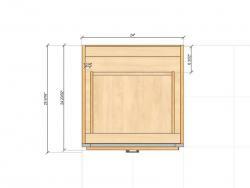 Pro100 is an excellent tool for any modern cabinet maker, whether you are doing custom cabinets or standard cabinets. 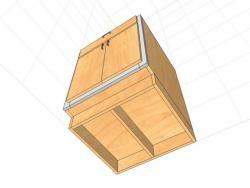 Cabinets are now increasingly made in different materials besides wood. There are synthetic materials and commercial grade cabinets also known as casework. If you have been building your cabinets by hand-drawing, or using a cabinet software that does not do the job for you, give Pro100 a shot, you will not regret it. 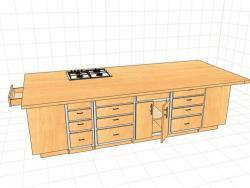 The fact is, any good cabinet design software that you plan to buy should achieve your goal(s). Pro100 has simple drag and drop interface which makes drawing easy and saves a lot of time. Help your clients and contrators visualize and share interactive projects both in photorealistic high definition screenshots or even panoromic view, a virtual tour of the actual project. Sample images to share with your work team or client. 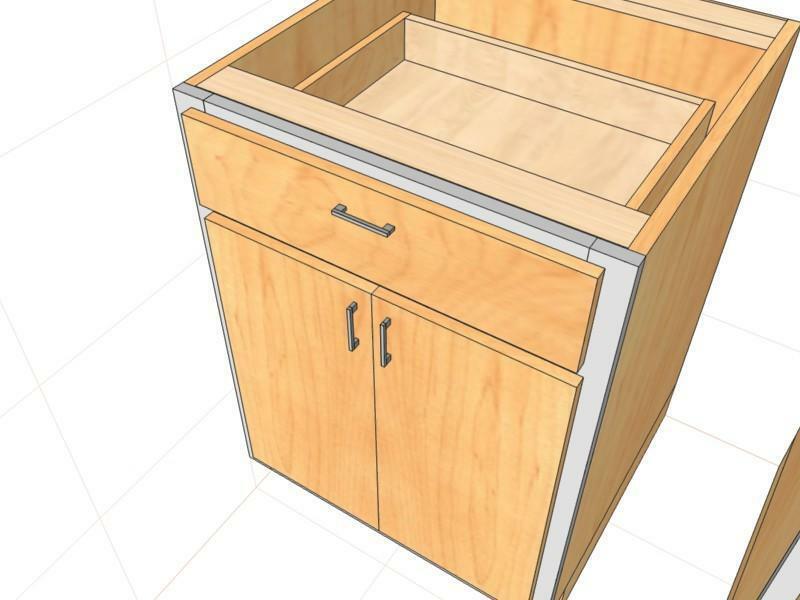 This is custom cabinet software that allows you to create your parts with precision just the way you would in your shop. You will end up with a library of items that reflects your craftmanship. You can choose to go by standard cabinets or pure custom work. It doesn't matter whether you are using a handsaw or CNC machine. The end results is just what you are looking for, try Pro100. Use our ready-made standard catalog or create your own custom designs. It does not matter what construction methods you use in your shop. Whether you are framed or frameless (European). 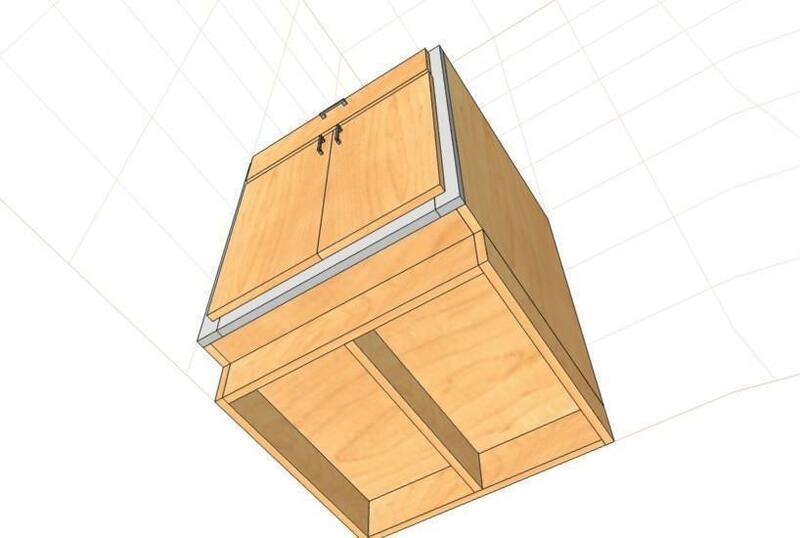 Frameless cabinets in many cases have panels made using wooden dowels and glue with the back of the cabinet dado-ed into the top, bottom and sides of the box. These panels are normally 3/4" thick material. With Pro100 design software, you will be able not only to have a presentation, but you can integrate the whole process including cut list, job costing and much more. you will discover that objects in Pro100 unlimited. You can, of course, get jpg pictures from your smartphone, tablet, digital camera as well as from the internet. 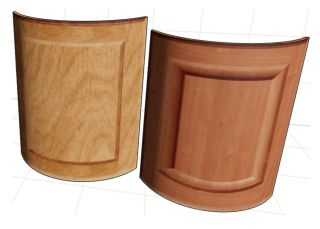 Using PAINT.NET (free), you will be able to easily manipulate any door style; be it shaker, maple, oak or other commonly used styles including custom made. 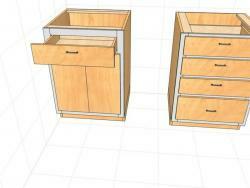 As you already know, drawer fronts and side panels usually come in different options and prices. 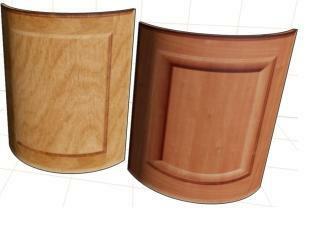 Then we have inset cabinet doors, partial overlay and full overlay or Euro-style cabinet doors. 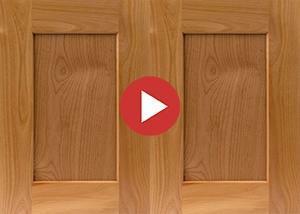 Pro100 will price your cabinets based on parts, door styles or whatever distinct parameters you would like to include based on how you build them. Define your construction methods and you are ready to go. We have sold Cabnetware, Cabinet Vision, Pattern Systems and DecoTech and had customers take months to set up their standards to be able to generate a cut list. The significant time wasted to generate cut list with these other programs translates to less sales. Not all cabinet design software sold in the market today have the same learning curve and that is why Pro100 stands out. Try It! 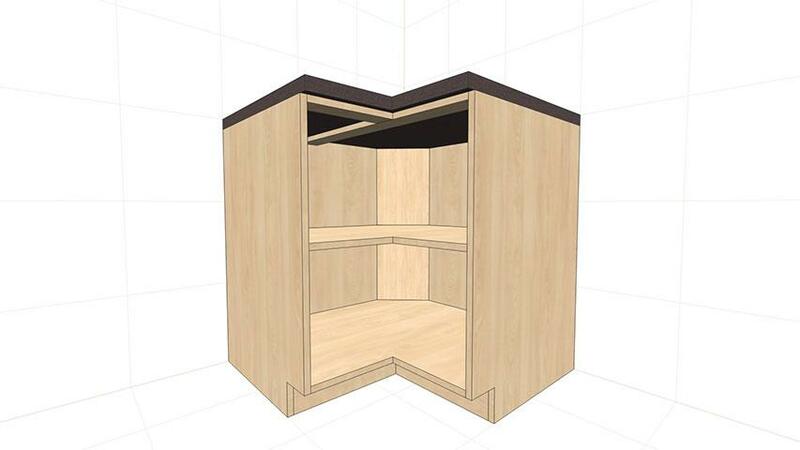 With Pro100, you create a virtual cabinet and the cut list is done. 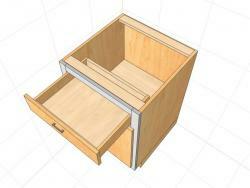 For instance, you make one two door wall cabinet with all the parts then size it to any size you want. No matter the size you have, you get an accurate cut list. It is just that simple. Pretty pictures will help you sell the job because remember most of your customers might not know much about cabinetry. Your customers need visual and so do you, especially when doing custom work. 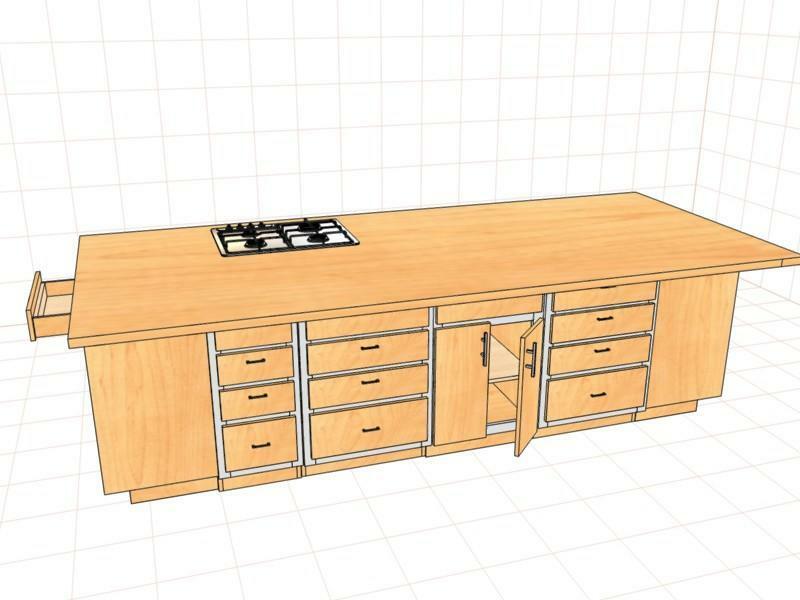 Any of these cabinet software can create a standard cabinet: Cabinet Vision, Cabinet Solutions, DecoTech, Cabnetware,KCDW, Cabinets Plus and many more. But how many of them can create cabinets and objects like these. Yes, all these objects were created easily in Pro100. It sells for only $2,550. 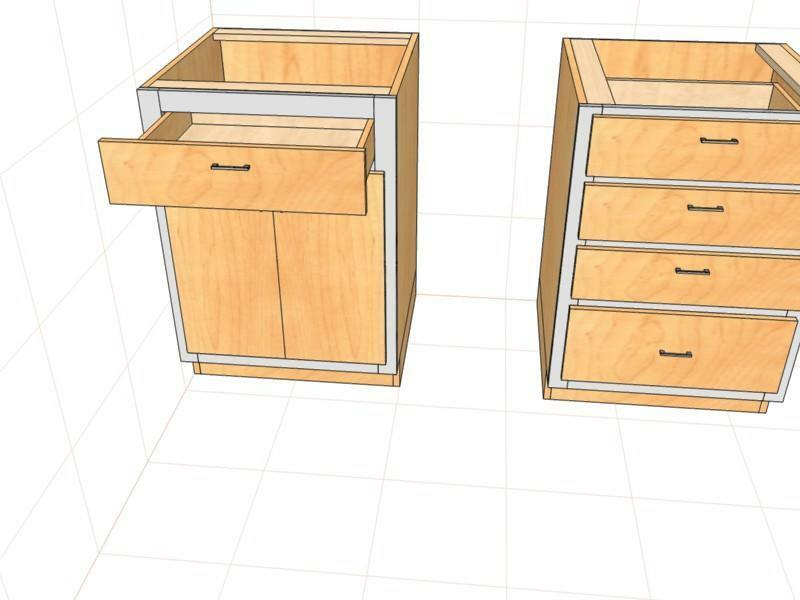 A good cabinet design software should demonstrate and achieve professional standards, full-featured as well as easy to use. 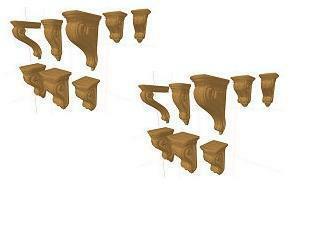 These corbels were imported into pro100 3D object (.OBJ) files. 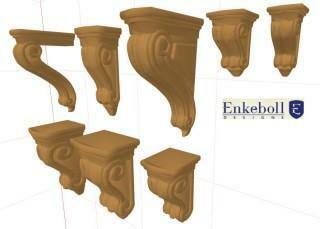 Enkeboll has freely available for download on their website. Check out these stools and other libraries available under Pro100 optional catalogs.